paulb2298 This is easily one of the most cohesive projects I've heard in years. 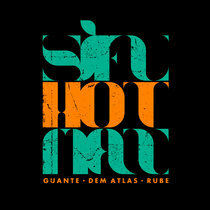 Innovative and versatile production, and impressive lyricism. 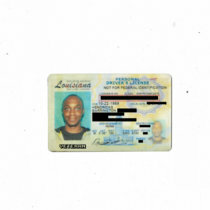 Glad I found this and I am really looking forward to whatever you guys drop next. 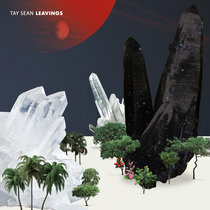 Favorite track: Take My. FAR BEATS The beats have so much good textures going on, love it. Great Mcs too. Favorite track: Pushing Up the Hills. hannahb329 wild musicality. so lit Favorite track: Pillars (feat. Baba Maraire & Felicia Douglass). The obscure 1997 movie Level Five by French artist Chris Marker isn’t visually confined to the decade it was made in. Pieces of the 90s appear like virtual reality, beige QWERTY keyboards, and bulging tube-screens, but the whole thing feels like it was shot in 1969 complete with film-grain, and post-WWII ideation. It is a reconfigured jigsaw of 20th century calling cards that add up to a deeply atmospheric, and inexplicably futuristic film. 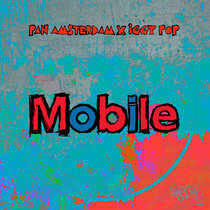 Something musically akin to this occurred when lyricist Raj Haldar and producer Spencer Stephenson sifted through their shared inspirations: 90s electronic music and hip hop, modern geopolitical tumult, 60s & 70s film and design, and even Cold War era paranormal accounts and conspiracies. 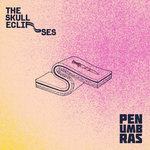 The outcome is The Skull Eclipses, a heavy-hitting, eleven-track post-rap montage that seeks refuge from the present by opening doors to the past-- but inadvertently finds itself in the future. 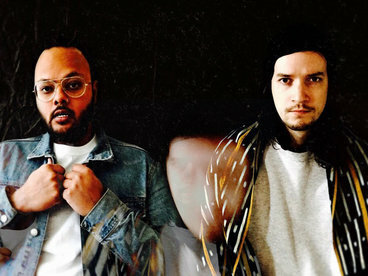 Known respectively for their independent work as Botany and Lushlife, Stephenson and Haldar selected their collaborative mantle, The Skull Eclipses, when the album became more than just a one-plus-one combination of their individual sounds. The odd title was originally given to a demo beat that Stephenson sent Haldar back in 2014, but it quickly became apt for the subject matter and emotional tone that the album and group took on during creation. 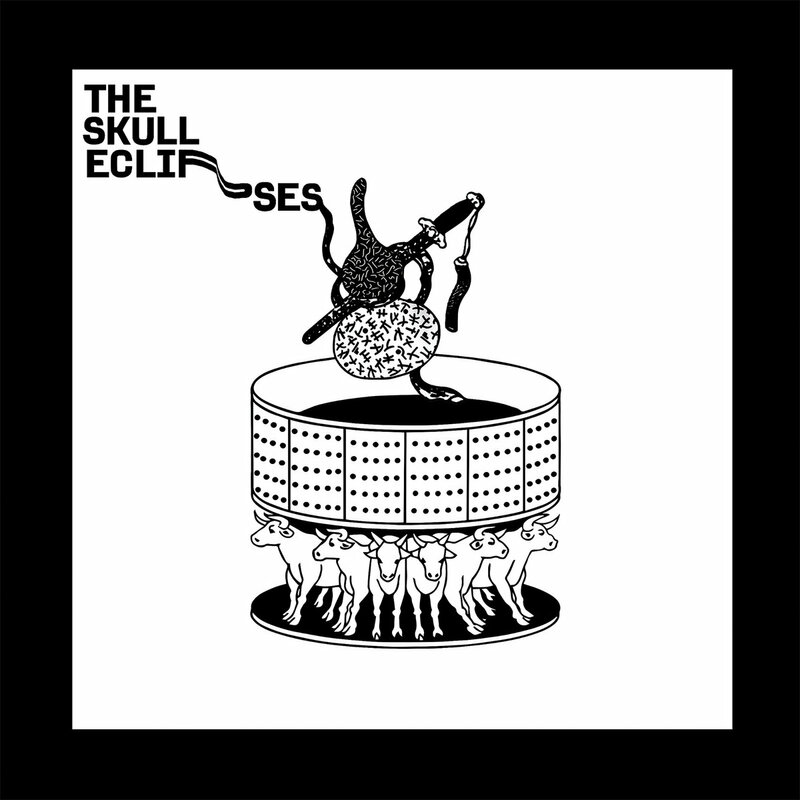 “The Skull Eclipses” refers to the philosophy of Solipsism, that nothing verifiably exists outside of the human mind, and dually to the idea that knowledge of one’s own mortality makes inner peace unachievable. Happiness is “eclipsed” by the image of death, classically represented as a “skull”. Accordingly, Haldar’s lyrics are a free-associative discourse on the value of life amid a growing population, Islamophobia misdirected at non-muslims via racist assumption, poverty, pharmaceutical abuse, mortality, mental illness, international conflict, political unrest, police shootings, and the continual failure of the drug-war that began when the album’s creators were just children. These are topics that Haldar and Stephenson felt could be lost in the perceived sunniness of their solo identities. 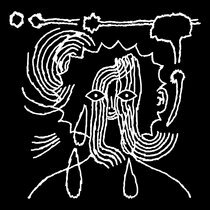 Haldar himself appears in rotating turns alongside his Lushlife persona, whose head hangs heavier than we’ve previously seen as the character slides off of its inventor’s shoulders like a tattered cape. Haldar sometimes refuses to put it back on altogether, opting instead for subdued delivery and melancholic admissions of auto-biographical turbulence. By this measure, it’s hard to tell if the album’s celebratory moments are little more than a mocking reflection in the mirror. Stephenson’s trademark fractalline production, noticeably more grim and aggressive than the tie-dyed psychedelia of his Botany project, provides ample space for Haldar’s shadow-self to break through. Instead of assuming the centerpiece, the raps become impressionistic graffiti, scrawling messages of societal and personal frustration on Stephenson's walls of sound built of throbbing bass, gothic chants, somber vinyl samples, and tape-destroyed speech. 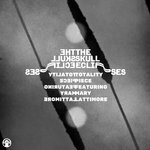 Aside from displaying a wider tempo variation than any of Stephenson’s work to date The Skull Eclipses is spun from sonic threads dark enough to border on horror. 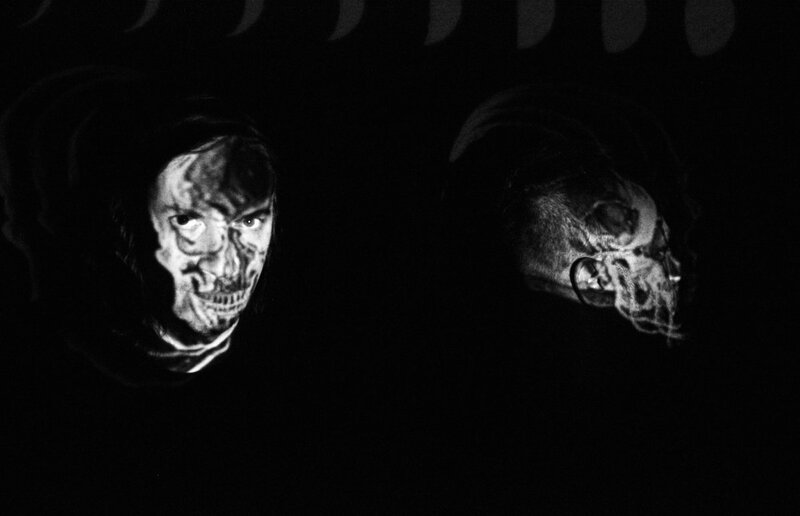 Songs are glued together with interstitial bad-trip creep-ups: melting choirs, doomsday evangelists, and the Judica-Cordiglia recordings that are purported to have captured the sounds of Russian kosmonauts burning up on reentry. As grotesque as that sounds, the album might be the most oddly accessible thing Stephenson has put a fingerprint on, each track being its own radio-ready package in contrast to Botany’s album-as-song ethos of seamlessness. 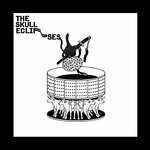 Broadly, The Skull Eclipses is a post-hip hop album that harmonizes tropes of mid 90s electronic genres-- ambient, downtempo, jungle, & trip-hop-- under a hauntological umbrella. It is the first offering from a project that is as much indebted to Broadcast & The Focus Group as it is to Pete Rock & CL Smooth, but obligated to neither. Up close however, the album is a peer into the shadows by two figures uncontent with blending into the tapestry of modern music, wholly committed to creating experiences over mere content, which is pouring in from all corners of a frustrated and distracted world.